Yesterday, I took my two younger daughters to a Black History Month community event at our local art museum. Artists from our community shared their talents inspired by African-American composers and musicians. A multiracial audience experienced a variety of unique expressions from performers of every race and culture. As the mother of three bi-racial daughters, I wanted to seize this opportunity to let my girls see and hear people who could elevate the unique gifts, talents, and passions of their ancestors. In this week's Better Together podcast, I want to seize an opportunity to share with you, too. I'm interviewing a Caucasian woman who's life radically transformed as a result of deciding to use her life and voice to elevate racial reconciliation and social justice. Her name is Cara Meredith, the daughter-in-law of civil rights leader, James Howard Meredith. 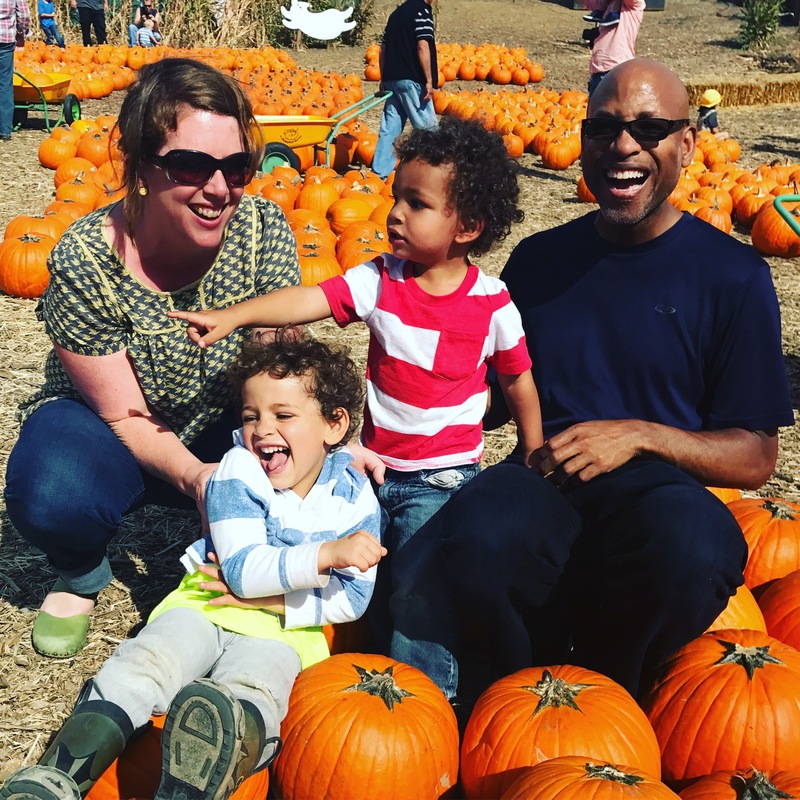 This is a candid, authentic conversation about race, family, motherhood. It's the conversation where you might feel God poking at certain patterns of thinking or challenging different stereotypes. Just know that God's just waiting for you to give Him permission to dig out that stuff and replace with His love for people. Important, but tough internal conversations that we all need to have if we're ever going to turn the tide on the volatile issue of race. 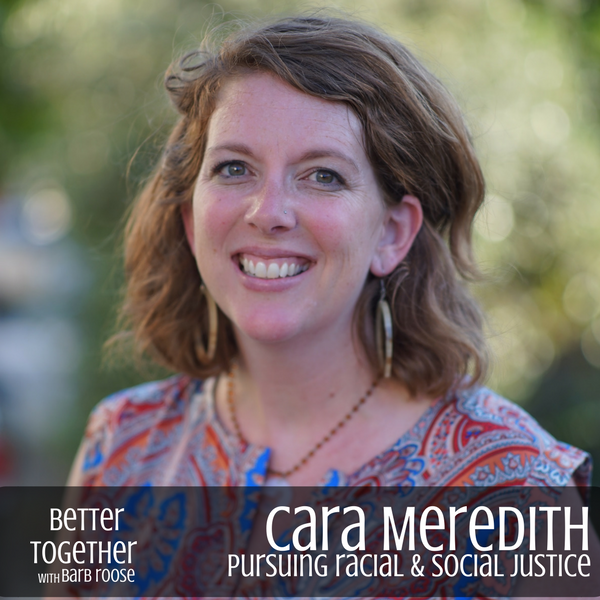 Cara Meredith is a writer and speaker from Seattle, Washington. A member of the Redbud Writers Guild, she is co-host of the Shalom Book Club podcast and an adjunct professor at Northwest University. She lives with her husband and two young sons, and consumes guacamole whenever she gets the chance. Cara with her husband, James Henry Meredith and their two sons. 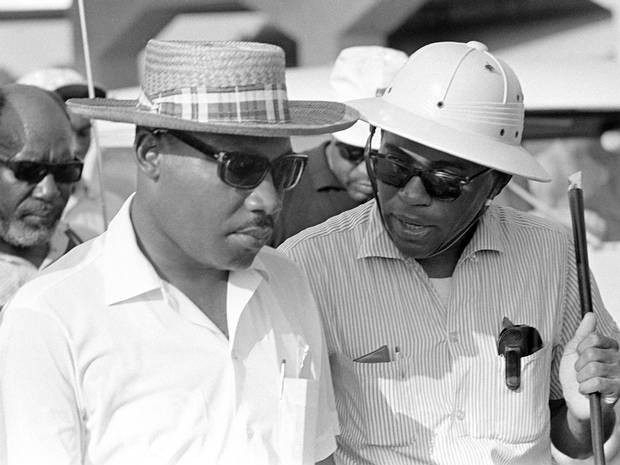 Cara's father-in-law, James Howard Meredith talking with Dr. Martin Luther King, Jr during the March Against Fear in June 1966. Meredith organized the small march and planned to walk from Memphis, TN to Jackson, MI. However, Meredith was shot on the second day of the march, but recovered in a local hospital. In the wake of the shooting, civil rights organizations rallied and over 15,000 people marched, including Dr. King. Are you exhausted by all of the work that it takes to plan and execute women's ministry events at your church? Does it seem like the same women volunteer all of the time and you'd like to see some new faces get involved? 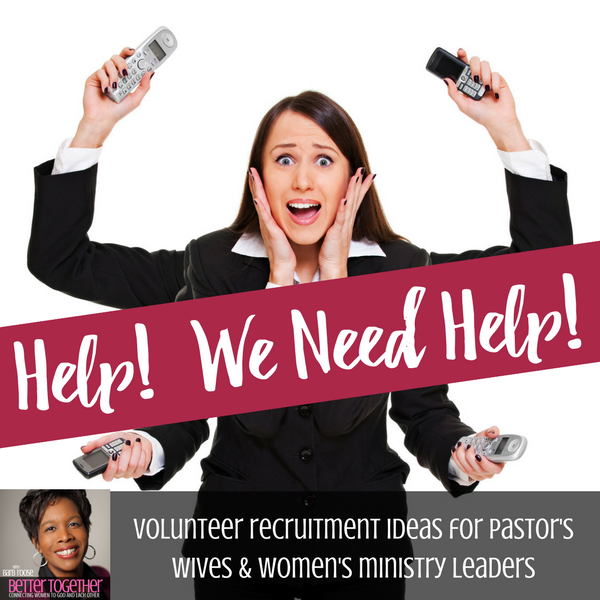 Are you worried that no one will take over if you decide to leave your women's ministry position? If you answered 'yes' to any of these questions or you know that your women's ministry leader would answer 'yes', then this podcast is for you! My name is Barb Roose and I'm a Christian speaker and author. However, I served on staff at a local church for 14 years, most recently as the Executive Director of Ministry. As a former volunteer, ministry leader and church staff, I know all of the hard work, late nights, sweat, tears and prayers that go into planning women's events. I know what it's like to dream and plan - only to feel frustration when volunteers don't show up. But, I've learned some key principles to recruiting and retaining high caliber volunteers along the way. One of the people that I've learned from is Cindy Casey, a fellow ministry leader and long-time local church staffer. Over the past 15 years, Cindy has recruited hundreds of volunteers. She is truly one of the best volunteer recruiters I know! Take 10 minutes and listen to my short interview with Cindy. She'll talk about how she recruits leaders, especially young leaders. Cindy will also talk about how she activates and appreciates her volunteers. If you enjoy this podcast, send me a note! My hope is to bring hope and help to you. What you do in your church and community matters so much and my prayer is that God can use me to support you along the way. Feel free to email me at barb@barbroose.com with your volunteer recruiting questions or issues. If there's an interest, I'll do another podcast with the answers to your questions. How often do you criticize yourself? Too many of us have a running negative dialogue in our mind about our faults, failures, shortcomings and mistakes. In today’s Better Together podcast, we’re discussing how self-compassion is the key to treating ourselves with the kindness that motivates us toward self-care and resiliency. As a former ministry leader, now life coach, I've observed that self-compassion is the one thing that women consistently refuse to give themselves. Too often, we don't believe that we deserve self-compassion because we believe that we can only be kind to ourselves if we're perfect or only if we try really hard. That's just not true! Self-compassion is a precious balance of grace and truth. This means that we treat ourselves with love even though we realize that we are flawed and make mistakes. Beautiful friend, if you can stop criticizing yourself, then you need to listen to this episode. If you grew up in a home where the adults in your life didn't or couldn't give you what you needed, then you must listen to this episode. If you're always feeling guilty about taking care of yourself, then veto that guilt and take the time to listen to this podcast while you're getting dressed, doing housework or driving to work. How to talk and treat ourselves with self-compassion on a daily basis. If you listen to today's broadcast and you think that your friends may need to hear Kim's wisdom, please share this post with them. 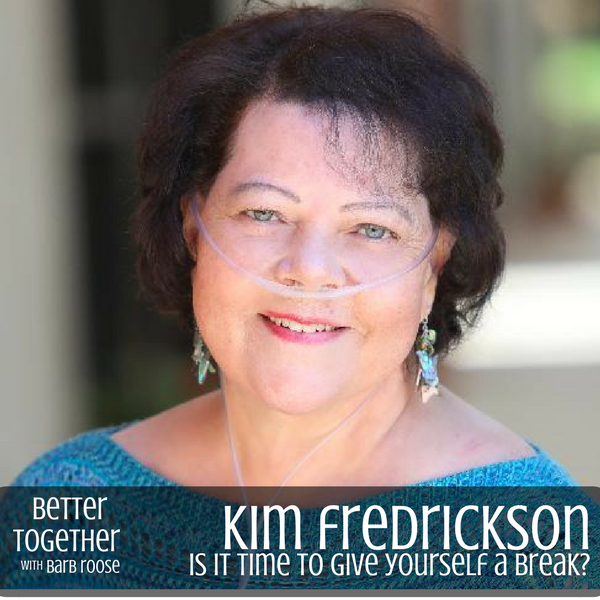 Kim Frederickson spent 30 years as private practice marriage and family therapist and college professor. She considered it a privilege to bring healing and hope to individuals, couples' and groups in private counseling sessions as well as workshops and speaking at conferences and seminars. In 2013, Kim was diagnosed with an aggressive form of breast cancer. After finishing treatment, Kim realized that she was experiencing shortness of breath. Within six weeks of testing, Kim was diagnosed with pulmonary fibrosis, a progressive and terminal lung disease. Even as she deals with such devastating diagnosis, Kim relies on the same self-compassion techniques that she taught her clients for many years. "I've decided to be a good friend to myself. Self-compassion helps me to be kind and caring to myself in the ways I talk to myself, take care of myself, encourage myself and accept the volumes of prayer and support my friends and family offer. I know God has a purpose for this in my life, and in the lives of others."